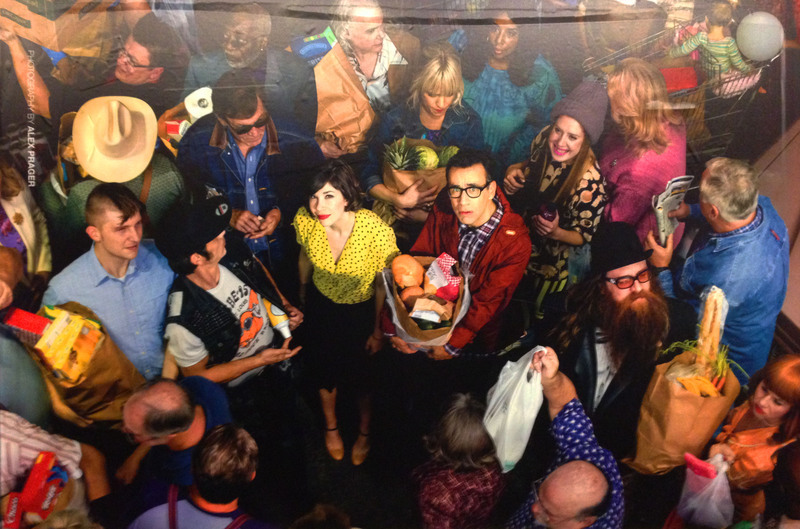 Artist Alex Prager (b.1979), newly represented by Lehmann Maupin, currently also has a solo exhibition at both of the gallery’s locations, respectively in Chelsea and the Lower East Side. For those who also frequent the underground for transportation, some of the below advertisements may also look familiar. Announcing the upcoming season of Portlandia, the zany IFC comedy that pokes fun at Portland residents (basically Brooklyn, West coast transplants with a crunchy edge) starring Fred Armisen and Carrie Brownstein. The new season starts on February 27th and Prager’s dual exhibition will be on view until the 22nd of February. 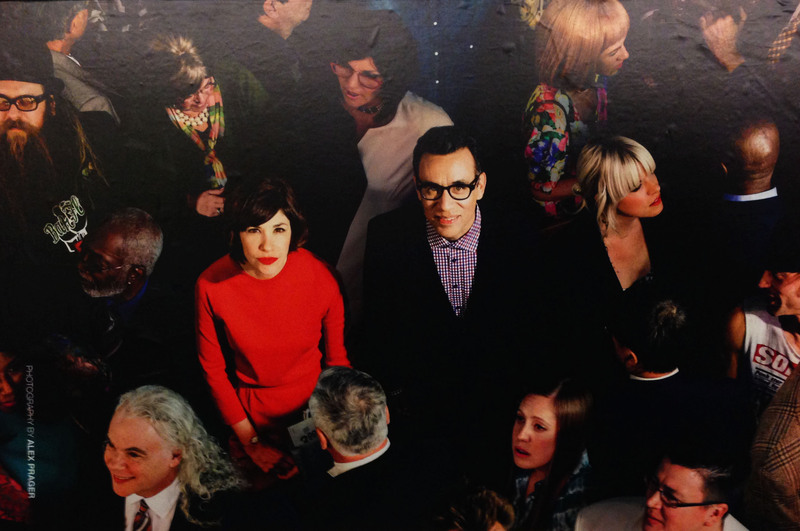 If these subway posters have caught your eye as they did mine, be sure to check out Face in the Crowd. 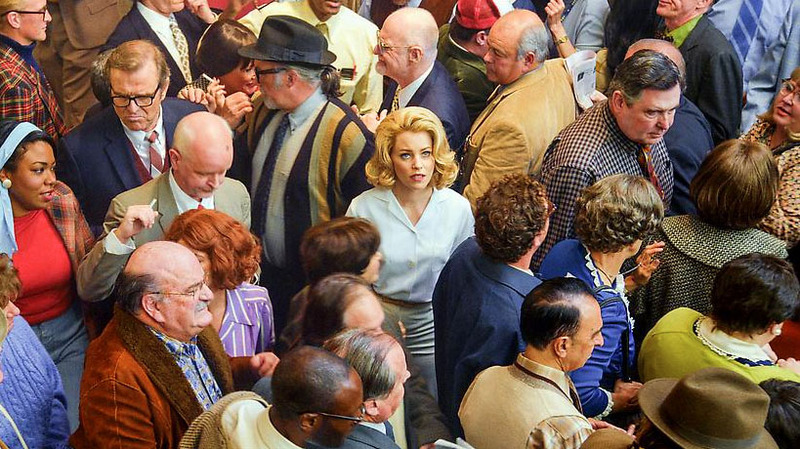 The artists work consists of large-scale, staged photographs of crowds along with a three-channel video installation starring actress Elizabeth Banks. Bringing up questions of public versus private space and the individual when only one of many, this body of work is, from the press release, based on childhood memories, recurring nightmares, and personal revelations as well as street photography and classic Hollywood cinema. Her goal is to remind us, as viewers who can be readily immersed in the world she has made, of the disconnect that is all too common in our media saturated society. Face in the Crowd, offers a staged, yet somehow personal glimpse into a world that is both strange and familiar. It’s rare for an artist to have both an exhibition in the realm of a gallery along with a commercial project, however, in this case I have a feeling the audience is the same person.